During daylight hours in the United States, at any given moment, approximately 660,000 motorists are using a cell phone behind the wheel, according to the National Highway Traffic Safety Administration (NHTSA). That is a frightening statistic, but certainly, one that makes it easier to understand the increase in distracted driving-related deaths that have occurred in recent years. Between 2015 and 2016, fatal distracted driving crashes rose a worrisome 8.8 percent. Studies show that using a cell phone while driving increases a motorist's risk of being involved in an accident by four times, and texting behind the wheel is considered particularly hazardous. Unfortunately, the dangers associated with texting while driving has not deterred many motorists. Though a whopping 98 percent of adults acknowledge that texting and driving is unsafe, 49 percent of adult motorists admit to having done so within the past 30 days. Texting while driving can lead to devastating accidents, injuries, and even deaths. If you were seriously injured in a crash caused by a motorist who was texting behind the wheel, you may be entitled to compensation, contact our experienced Wilmington Car Accident Lawyers to assist you. Distracted driving has become such a problem in the United States that some have begun referring to it as an epidemic. Looking at recent motor vehicle accident statistics makes it easy to understand why: 391,000 people were injured—and 3,477 were killed—in distracted driving-related automobile collisions in 2015 alone. The following year, distracted driving was a factor in 10 percent of more than 35,000 fatalities attributed to traffic accidents. Safety organizations such as the NHTSA, the Centers for Disease Control and Prevention (CDC), and others agree that texting while driving is one of the most dangerous things motorists can do behind the wheel. What, exactly, makes texting and driving so hazardous? Texting—which requires drivers to look away from the road, divert their focus from driving, and take at least one hand off the wheel—combines all three forms of distraction to create a perfect storm of danger that can result in catastrophic accidents. 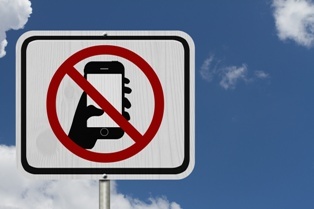 In fact, texting played a role in more than 341,000 vehicle collisions in 2013 alone. Additionally, texting and driving is considered particularly hazardous because of how long a driver's attention is taken away from the road while reading or sending a text. Studies have shown that drivers can only safely glace away from the road for up to two seconds. However, the average time it takes to read or send a text message is five seconds. Driving at 55 mph, a vehicle can travel the length of a football field in that time span. Though research shows that texting occurs among drivers of all ages, some age groups appear more prone to text and drive than others. Texting behind the wheel was common among teenage drivers. However, drivers between the ages of 21 and 24 were most likely to send a text or email while driving. Do You Need a Wilmington, DE Car Accident Attorney? If you were severely harmed in a car accident caused by a driver who was texting behind the wheel, the Morris James Personal Injury Group can help you fight for compensation for your injuries and other losses. Contact the Morris James Personal Injury Group today to schedule an appointment for a free initial case analysis.